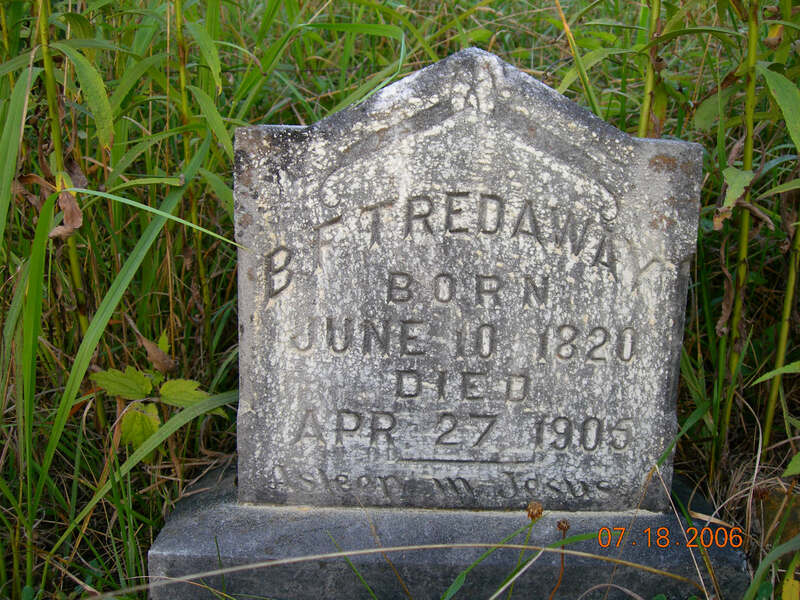 Benjamin Franklin Tredaway was the son of Elizabeth Tredaway and ?. He also had a sister named Nancy Tredaway. He married Elizabeth Allen 30 Dec 1845 in Scott County Va. She was the daughter of John Allen and Esther Jane Neal. They are buried in the Egan Cemetery in Wise Co. VA.